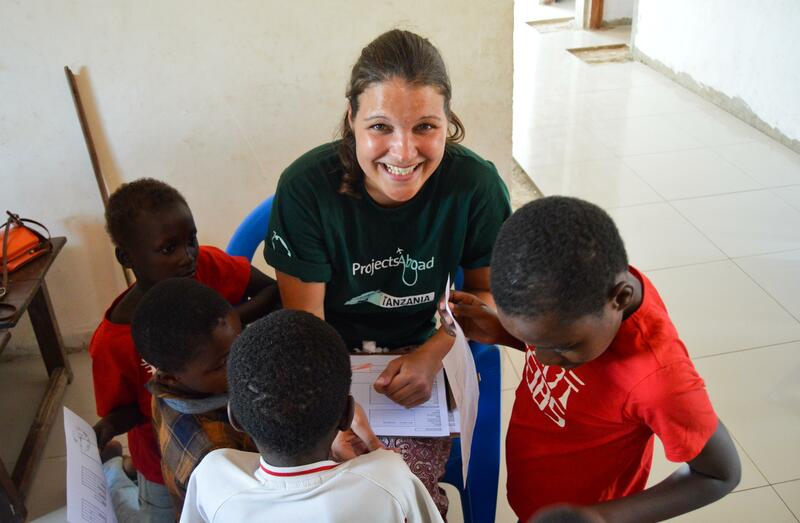 Join our Nursing internship in Tanzania and gain medical experience in a vibrant African country. You’ll shadow doctors and nurses in hospitals and health clinics and learn first-hand what a day in the life of a local nurse is like. You can also spend time in different departments, and learn basic medical skills under supervision. You’ll also see diseases and conditions that you’ve only read about before in textbooks. Local doctors will show you how to diagnose these diseases and will walk you through treatment procedures. 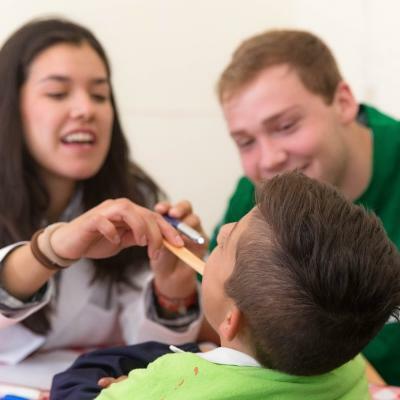 You’ll also gain practical experience during medical outreaches in remote communities. These communities don’t have regular access to medical check-ups, so you’ll help provide basic healthcare services. You’ll be based in either Arusha or Moshi. 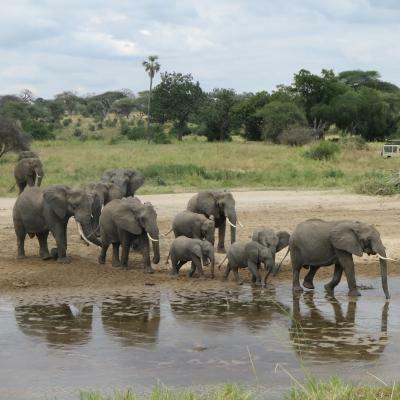 During your free time, you can explore the beauty of Tanzania, from the sparkling depths of Lake Victoria to the heights of Mount Kilimanjaro. 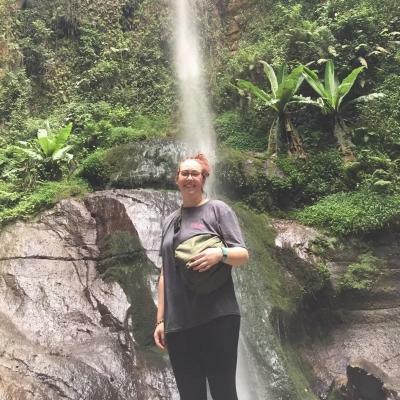 Is the Nursing internship in Tanzania right for me? Looking to gain practical experience before your nursing career? This internship is perfect to learn about working in a hospital before applying to nursing school. You’ll get the chance to shadow professional doctors and nurses, enhancing your medical knowledge and improving your CV. If you’re a nursing student, this is also a great opportunity for you to get practical experience and build your confidence before you graduate. If you’re not sure whether a career in nursing is for you, join this project to get a glimpse into the daily life of a nurse in Tanzania. You’ll go back home with a clearer idea of nursing work and a broader knowledge of medicine in general. This internship runs all year round, so you can join at any time. The minimum duration is two weeks, but you can stay as long as you’d like after that. What will I do on this Nursing internship? 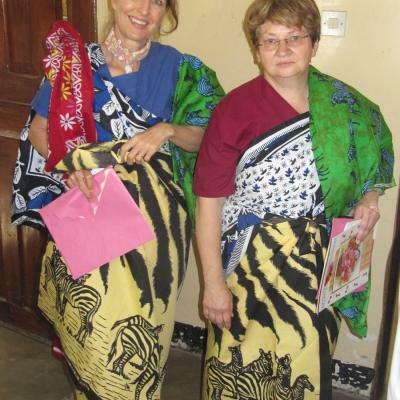 You’ll shadow doctors and nurses from different departments and get to know what life is like as a nurse in Tanzania. You’ll sit in on consultations and see how nurses cope when supplies run low. You can rotate between different departments or choose the department that interests you most. So you can gain as broad or as focused a learning experience as you’d like. The number of departments you intern in will also depend on how long your internship is. We recommend staying in each department for at least a week. During workshops and lectures, you’ll gain practical skills, learning to measure blood pressure and blood sugar, or give injections. You’ll also learn about how to diagnose and treat tropical diseases like malaria. Outreaches are another opportunity for learning. In the process, you’ll provide basic medical care to local people. 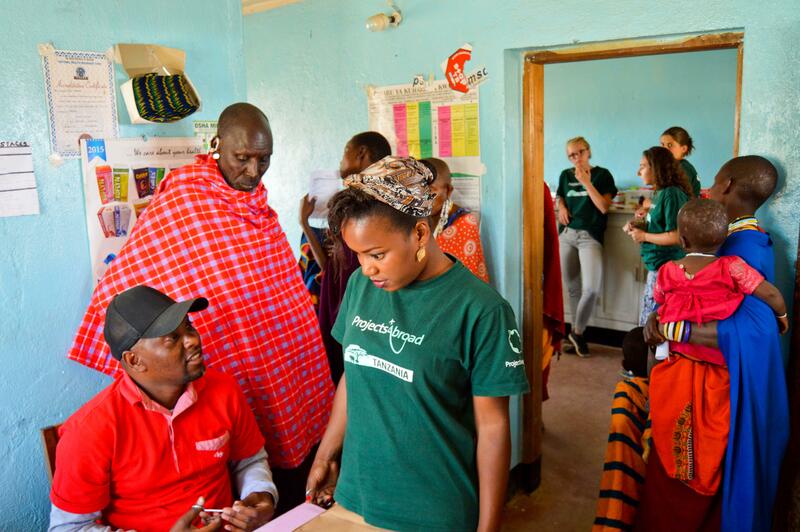 During outreaches, you’ll go out into Maasai communities with doctors and nurses. You will assist them with screening for problems like diabetes and high blood pressure, by taking measures like blood sugar, blood pressure, and weight. The number of departments you can work in will depend on how long your internship is. We recommend staying in each department for at least a week. If you’re interested in a specific department, feel free to contact us and we can help advise you. 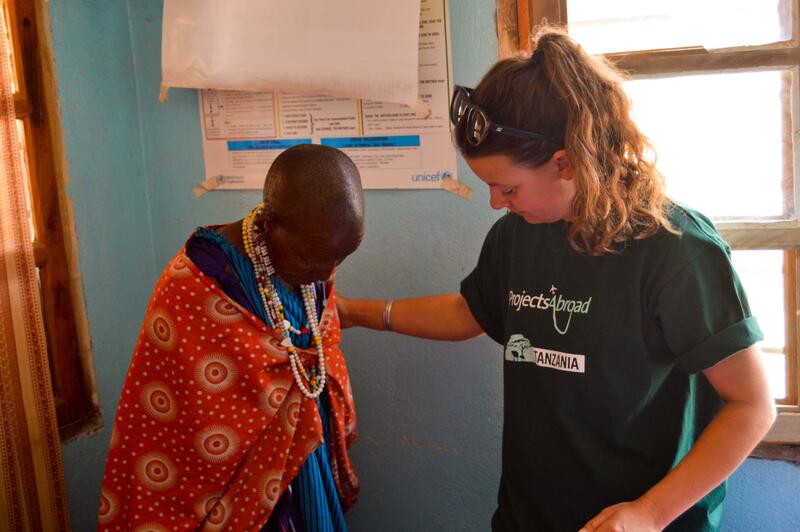 We have Nursing placements in Moshi and Arusha. Both regions will give you the opportunity for valuable nursing experience combined with exciting tourist activities. You’ll work in hospitals and health clinics. 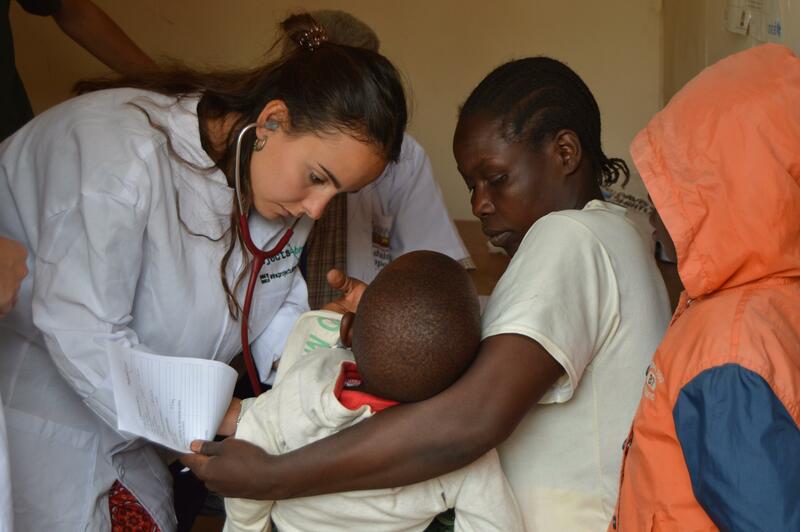 At your nursing placement in Tanzania, conditions might be less developed than the healthcare facilities you’re used to seeing. Arusha is a city located at the foot of Mount Mera and bordered by the Great Rift Valley. You’ll work in a large government hospital if you’re a nursing student, or a smaller health clinic if you’re a pre-med. 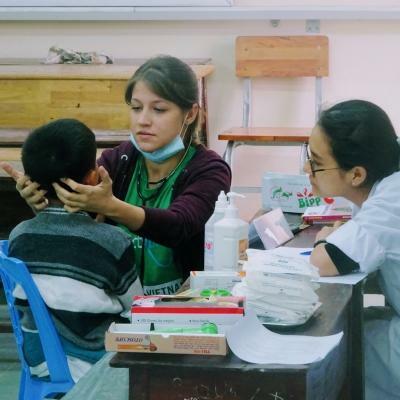 You’ll also go out into remote communities once every two weeks to run medical outreaches. There’s plenty to do during your free time in Arusha. Over the weekend, you can take a trip to the white-sand beaches of Zanzibar or visit the National Natural History Museum. Arusha is famous for its buzzing nightlife. You can spend your evenings at local bars and restaurants, sampling Tanzanian cuisine and swaying to the music of a live band. Moshi is a town at the foot of Mount Kilimanjaro, the highest mountain in Africa. You will be working in small hospitals and health clinics. You’ll also do occasional outreach work in nearby communities. During your free time, you can get to know the culture and traditions of the Chagga tribe. Or explore the Materuni Waterfalls and take a tour of coffee plantations. Lake Chala is the perfect setting to unwind after a busy day shadowing medical staff. You’ll wake up and enjoy a hearty meal with your host family, before grabbing your white coat and catching a dalla dalla to your placement hospital or clinic. On a typical day, you’ll arrive at work by about 8.00am and leave at 4.00pm. Project work runs from Monday to Friday and you have the weekends free. You’ll usually spend your mornings shadowing skilled doctors and nurses. Join them during consultations to see first-hand how they diagnose and treat patients. You can spend time doing ward rounds and watch nurses taking health measures. You’ll also have the opportunity to ask questions and find out more about what working as a nurse is like. Depending on how long your internship is, you can visit various departments to learn more about specialisations. 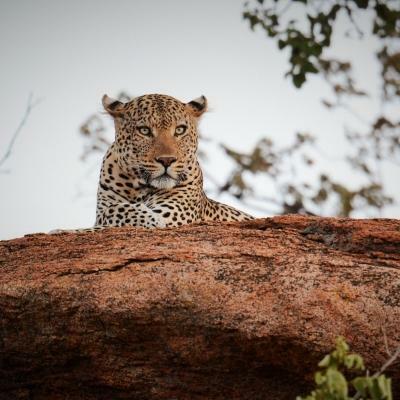 Your evenings will be free, giving you the chance to explore Tanzania. You can visit local markets, enjoy a delicious home-cooked meal with your host family, or spend time chatting to Projects Abroad interns. The main aim of this internship is to promote knowledge sharing. You will learn from qualified doctors and nurses about how healthcare is practised in a developing country. You’ll also be able to learn about healthcare systems in other countries from the other interns. 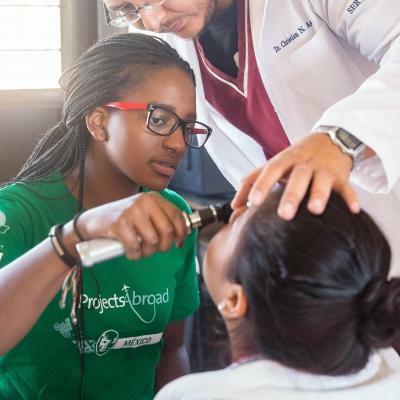 Ultimately, you’ll leave with a well-rounded knowledge of how the medical field works in a developing country. You’ll help with providing early screening to people who don’t have easy access to medical facilities. They might not have transport or funds to go to hospitals. Medical outreaches provide basic medical care to these people. You’ll measure their blood pressure, blood sugar, height, and weight. This data will assist doctors and nurses with making referrals. Join this internship and help us work towards achieving these goals. I spent a few days in the antenatal clinic assisting the midwife with urinalysis, HIV/malaria testing, estimating gestational age and date of delivery, and administering malaria, worm and HIV (where indicated) medications. The support that Projects Abroad gave me in preparation for the trip as well was throughout my trip was phenomenal. Before I left for Arusha I received information about obtaining a visa and vaccinations as well as what to pack and how to prepare for culture shock.